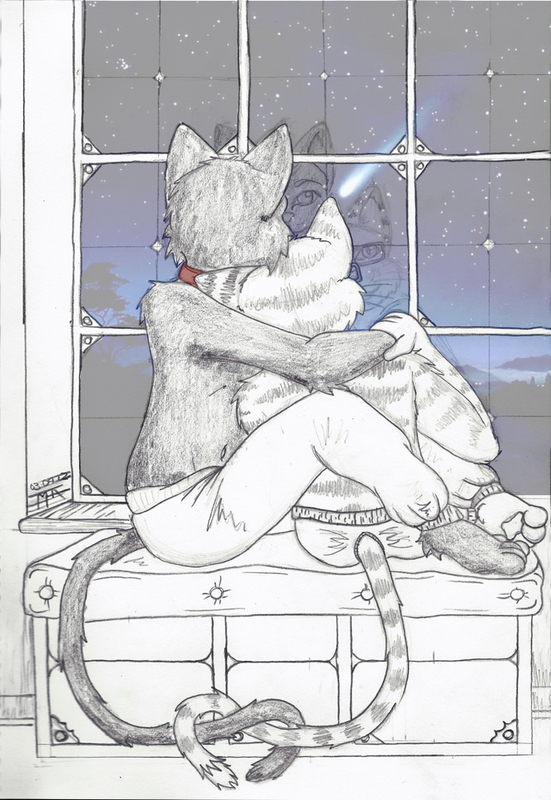 $20 special commission for hypnoflow and tomleo - Hypno just asked for an image of the two of them sitting and staring out the window at a starry sky. This is the first image that came to mind. Had a bit of trouble making it recognisably them from the back, but I think it came together nicely at the end there. on twitter for an instant response. And thank you in advance. Background source: http://images2.layoutsparks.com/1/43672/shooting-star-... <- Free wallpaper, and it's actually quite nice.